I am all about comfort food. 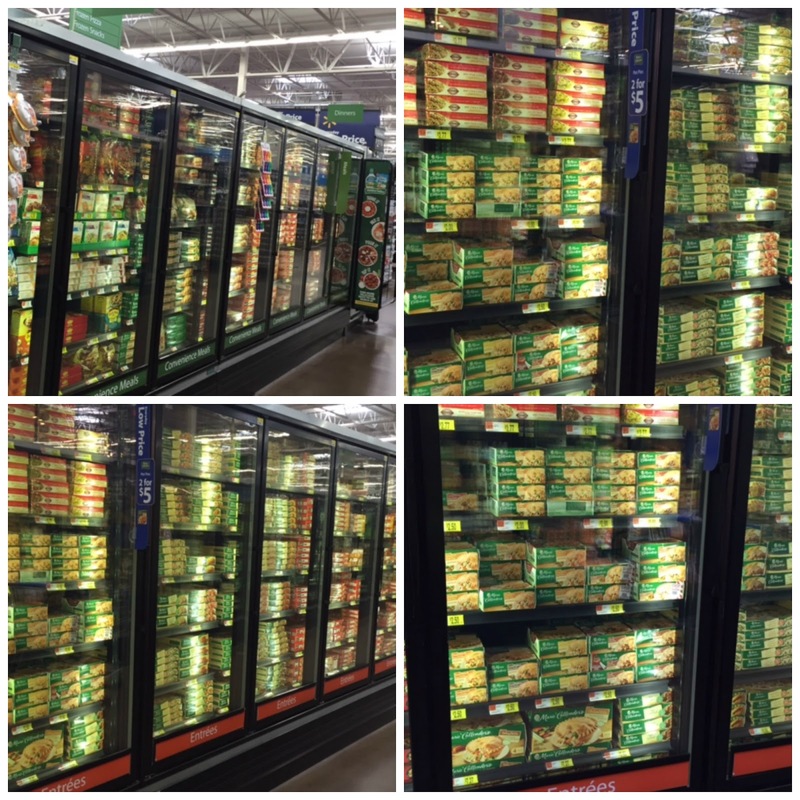 I grew up at the time when frozen meals were just hitting the freezer section at the local grocery store. Yes, I'm old...Anywho, during the winter months, nothing warms my heart and takes me back to my youth like a freshly baked pot pie from the freezer. 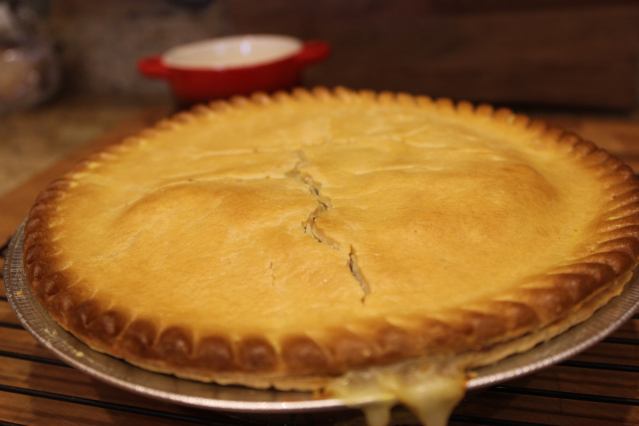 I'm all about a good flaky crust and that is why I love Marie Callender's Pot Pies the best! They are packed full of veggies and and the gravy is so yummy! Yep, they are ten times...no a hundred times better than the pot pies I grew up on. I decided to grab a family size Marie Callender's pot pie the other day when I was shopping at Walmart. 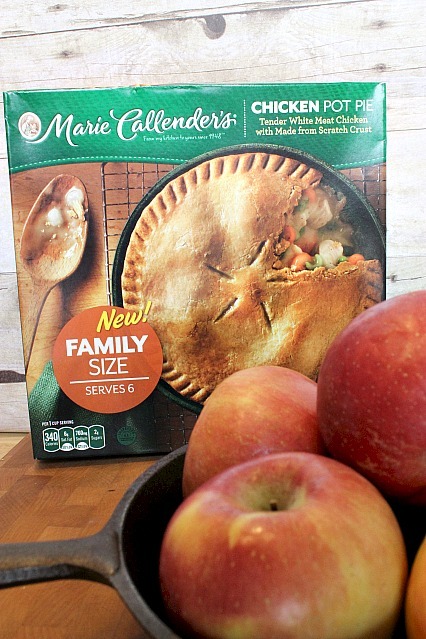 The pot pies can be found in the freezer section right by the other Marie Callender's meals. I figured that was easier to get a family size than trying to decide what flavors Mr. B & his mother might want. They got what I wanted LOL! 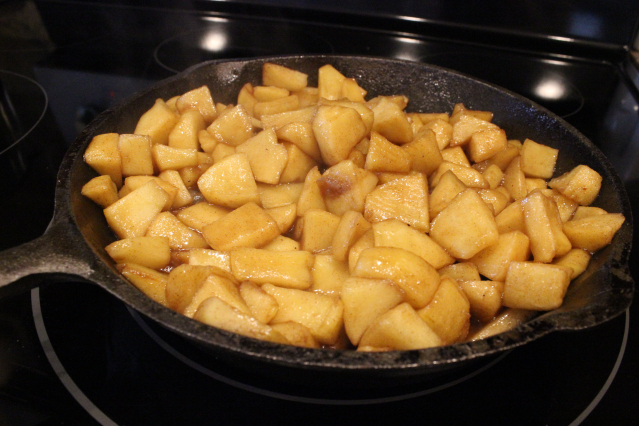 I also grabbed some apples so that I could make my skillet brown sugar & cinnamon apples to go along as a side dish. 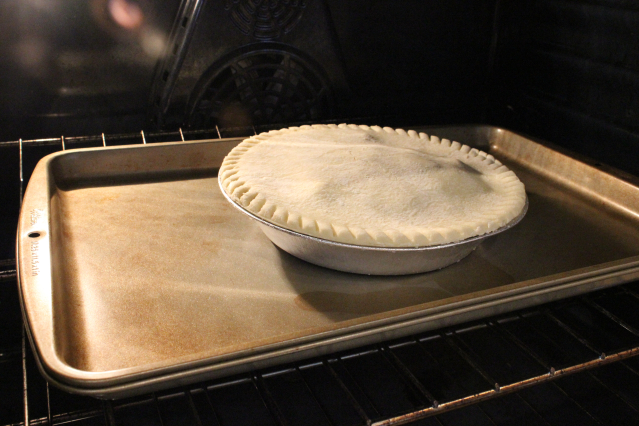 Baking the pot pie is as simple as preheating your oven, making sure to poke some holes in the top crust and placing on a baking sheet in the oven for 1 hour and 35 minutes. 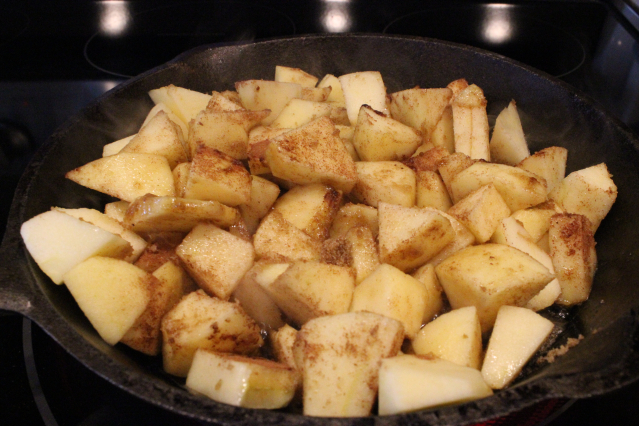 While the pot pie is baking I made up the skillet brown sugar & cinnamon apples. 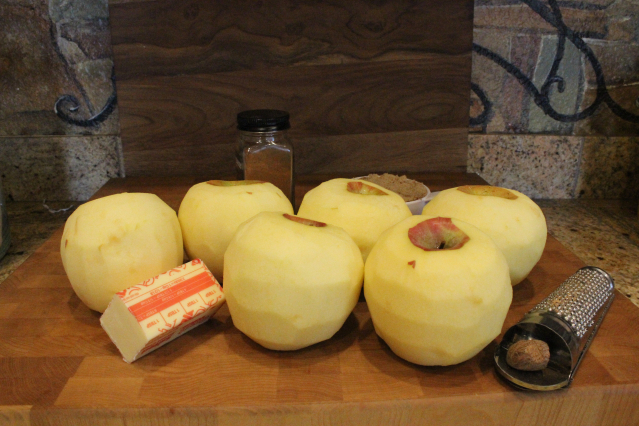 I peeled, cored and cut up 6 good sized apples. I then melted the butter in a heavy skillet, added the apples and then the cinnamon, brown sugar and some freshly grated nutmeg. Then just cook until the apples are tender. By this time, the pot pie is done and it's time for dinner! Just look at that gravy just oozing out! Oh to the yum! 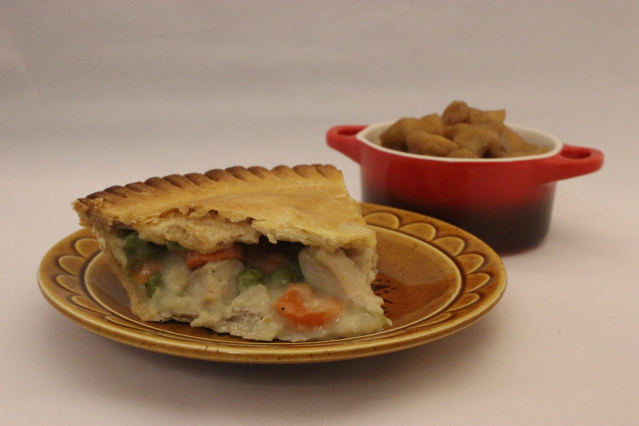 Tender vegetables, all white-meat chicken and gravy, all packed under a perfectly flaky and golden crust that's made from scratch! Convenient, fast and the truest sense of homemade, enough to fool anyone! Now that's my idea of comfort food! What's yours? 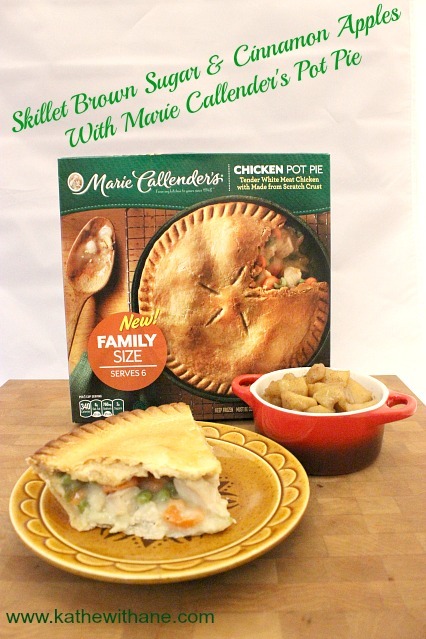 You can visit Marie Callender’s to learn more about the product and then visit their website for more great recipes. You can also find Marie Callender’s on Facebook at Marie Callender’s Meals. Melt butter in a large, heavy skillet over medium heat. Saute apples, brown sugar, cinnamon and nutmeg until the apples are tender and golden, 15-20 minutes. Serve warm. I really need to try making those apples. I'm a big fan of sugary sweet apples, especially when baked. AHHH. Yum. oh YUM!!! We just bought a bunch of apples... I might have to make some for dinner tonight! My mouth is watering looking at this pot pie and your skillet apples, Kathe! Yum! Those apples look good. You don't get more comfort food than chicken pie. Thanks for sharing! Those look so good! I think that is something my mother-in-law would like as well! I think I am going to make these tonight with dinner! I love making this with apples. Yummy and apples are healthy. Mmmm Mmmmm good! I can smell it now! Those cinnamon apples would be SO good right about now! It's chilly out today, and something warm and cinnamony like that would really fill the bill!!! I grew up on those crazy Banquet pot pies and one other brand that I can't recall right now. Today's pot pies are mercifully nothing like those! I've never tried a Marie Callender pot pie, but it sure looks good. I ate at the Marie Callender restaurant in the Los Angeles area years ago and LOVED the fruit pies! Delicious! I love those pot pies. I think I'll go try your skillet apples right now too. 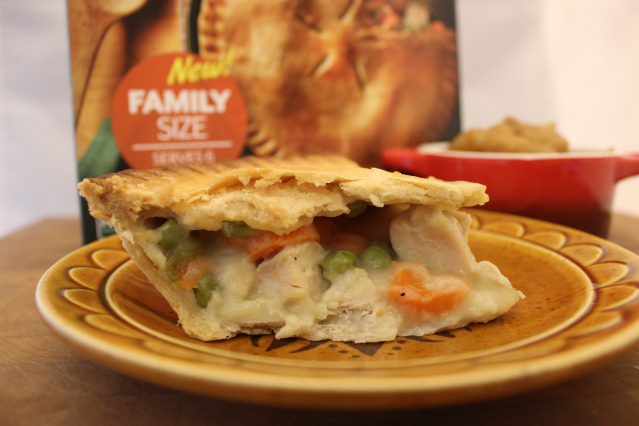 Marie Callender's pot pies are the one's I grab when I want one! Now the apples sound amazing also! The apples look amazing!! Now that's one way to eat your daily servings of fruit!! I haven't had pot pie in so long, now I'm craving it! !